Discover the art of beautiful writing in this workshop with Angela Reed, from Creative Calligraphy. 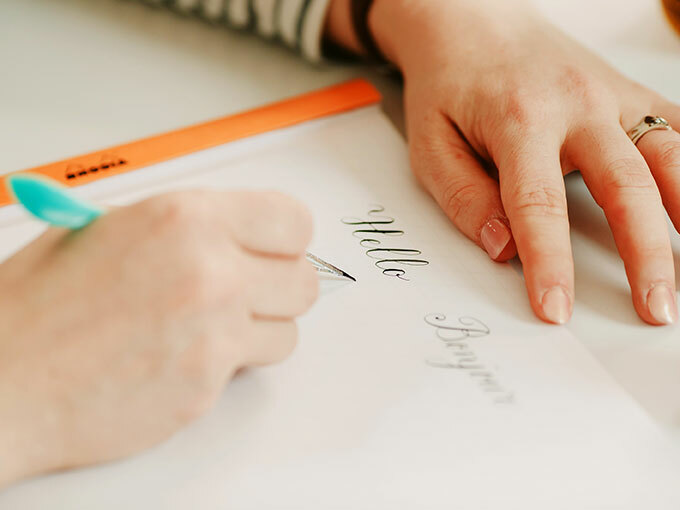 Angela will guide you through the principles of pointed pen calligraphy, using a dip pen and ink to create a traditional copperplate script, with a focus on capital letters. Suitable for those with some experience.